I love watching the girls play. 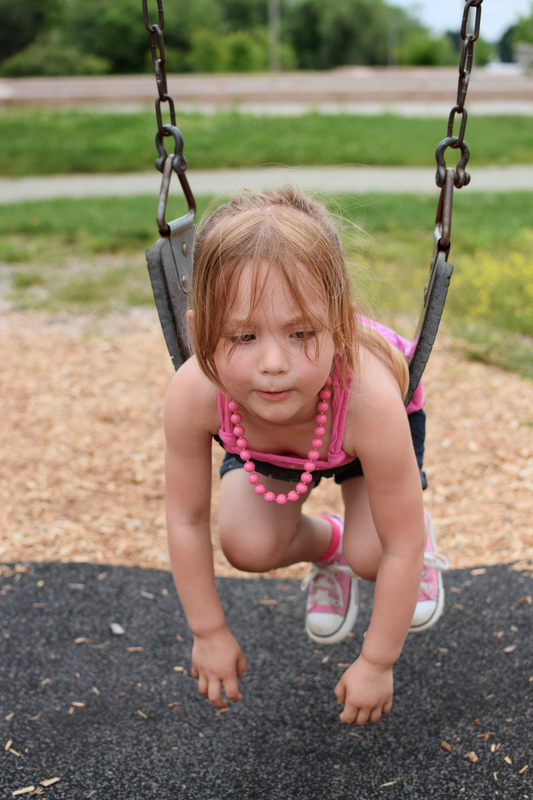 Something about a playground brings out a special smile on even the most moody kid. Tiny’s favorite is the slide. Destructo loves swinging but still need me to push her. I try not to hover at playgrounds either. Let kids play, you know. Embrace the boo-boos and the risk taking. Let them fall, fail, and learn to try again. 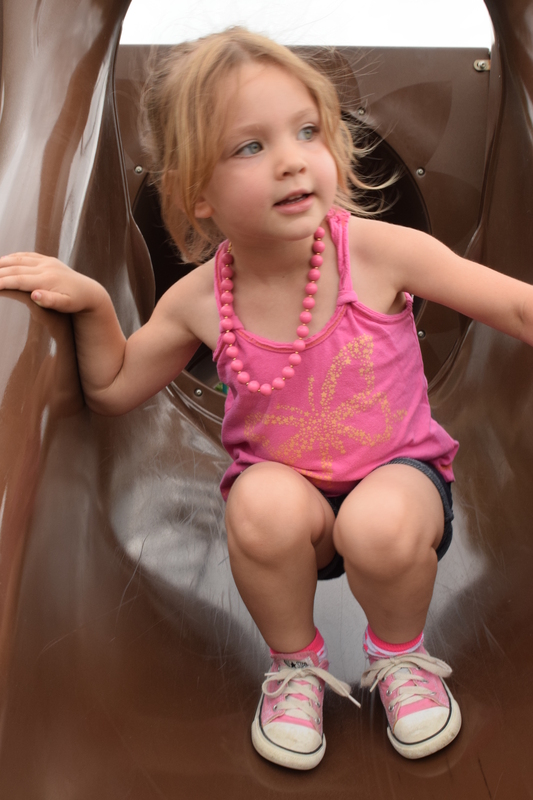 Playgrounds are learning places; they are also great locations for a photo shoot. 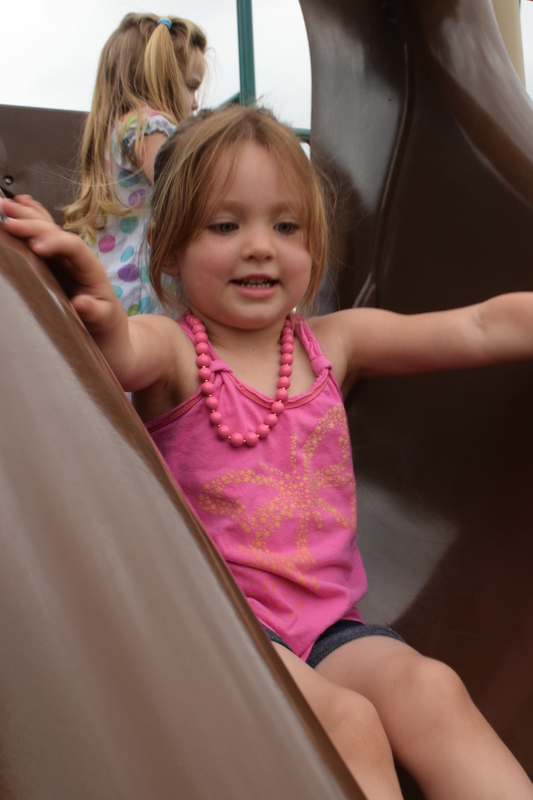 I’ll admit bringing my “huge” camera to a playground caused a few heads to turn. The sight of a camera creeps people out, which I understand. It makes heads turn and Mommy’s ask “who are you and why are you taking pictures?”. So how are you suppose to capture pictures of your subjects with one eye over your shoulder? Do your best to eliminate other children from the background. This might mean loosing “the shot” and having to try again. Even if you think you can manually remove the child from the background its ill-advised. Legally without verbal or written consent from the parents you cannot capture the image of their child. Obviously you are not intentionally photographing the other person but now-a-days I play “better safe than sorry”. It also make for a distracting background. Minimize the noise behind your subject, playgrounds are busy enough, no need to throw a conflicting face in the picture. Be patient, kids are here to play not pose. So Tiny Tim is afraid to swing and hates the tunnel, let him play for 15 to 20 mins and just watch. Watch with you lens ready because you will soon learn that Tiny Tim loves the bouncy frog! Even if you are Mommy and you know exactly what your kids do and do not like they are still kids. I said early that Destricto loves to swing, but the day we went out she would touch them; she said they were too “hot”. Yes, this is one of my favorite pictures of the day! It would be better if she were smiling or at least looking at me but this is what she wanted to do. She was playing Airplane. If I were on a shoot I would have asked for plane noises, gotten a smile, and won the photo shoot. Playgrounds are were kids play not pose, remember. Play with the kids and have Mommy and Daddy play too. Kids relax when they play be it with Mommy and Daddy or a Photographer. They are more likely to smile for you. These rules apply for Mommy-grapher or a paid photographer. Playground are one of my favorite places to capture images of Tiny and Destructo, even if that playground is in our back yard. Nothing beats a genuine smile.